I’ve been loving vintage pennants lately. Like really loving them. I’ve used vintage pennants as decor in William’s nursery, party props, and they’ve even made their way into some of my design gigs. Basically, I’ve used them for anything and everything that is not technically related to sports. UNTIL NOW. 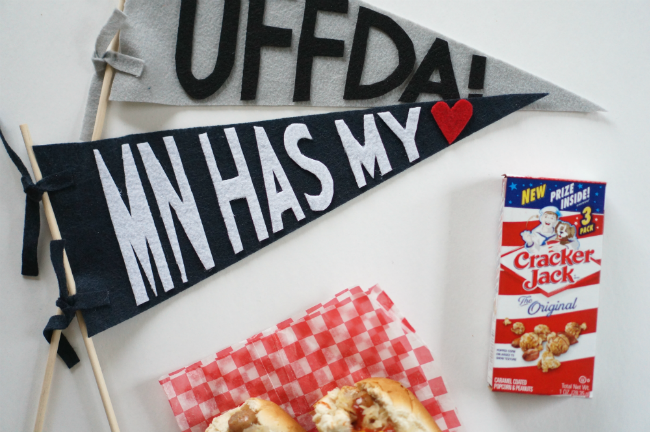 These DIY Minnesota Twins baseball pennants are changing the cheering landscape, people. 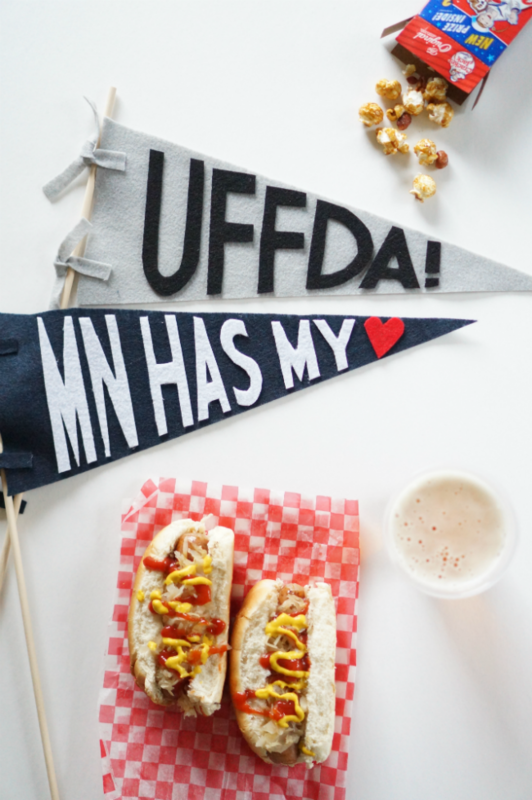 They take up a minimal amount of room, can be customized to say whatever you want them to say (snark encouraged), and best of all, they make for cute decoration when you’re not tailgating your little heart out at Target Field. 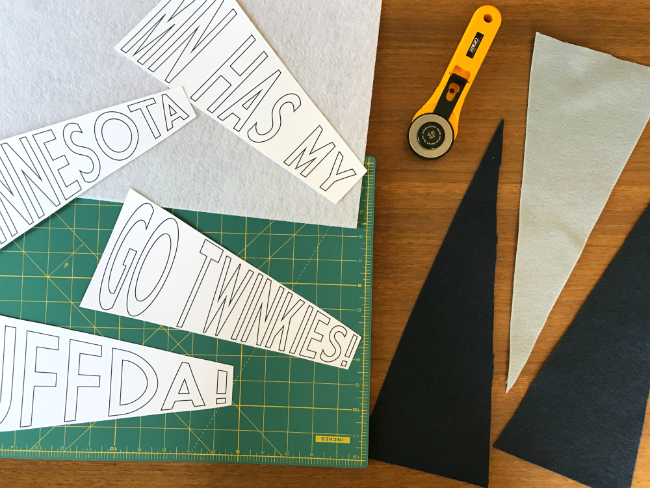 These pennants are actually easy and inexpensive to make, but putz-y (think lots of small cuts). I’d suggest turning on the Netflix and getting on to it! – 1/4 Yard of Felted Fabric (per color). Felted fabric is what you’ll use for the actual pennant shape. Note: felted fabric is found in the fabric section of the craft store. It acts like fabric and does not hold its shape. 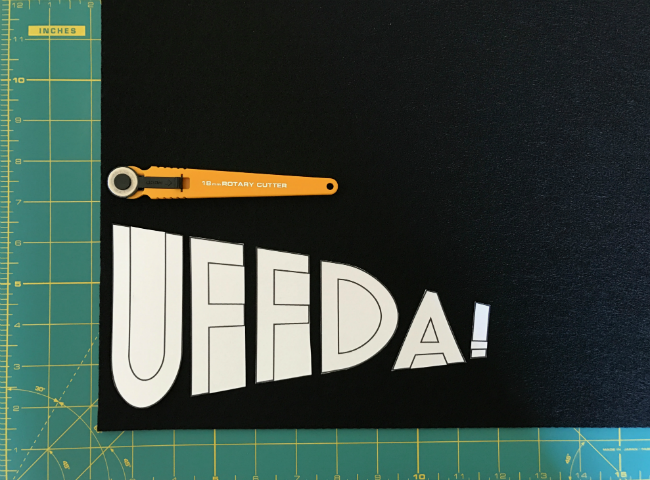 – 1 Sheet of Stiffened Felt (per color). Stiffened felt is what you’ll use for the lettering. Note: stiffened felt is typically sold as individual sheets in the crafting area. Stiffened felt holds its shape. 1. Start by making a template in the shape of your pennant. It’s easier to first make a template out of cardstock and then trace onto the felted fabric. First, measure the side of the pennant to be six inches high. Find the middle of the line you just drew, and using a ruler, make a dot 14.5 inches away. From there, connect the top of your 6-inch line to the dot and do the same with the bottom of the 6-inch line. You now have a triangle shape for your pennant. 2. Cut out your template from your cardstock and trace onto your felted fabric. 2. 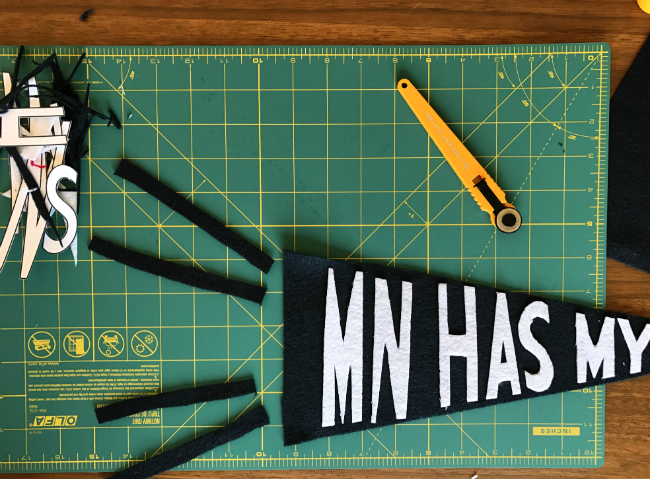 Next, either download the text template or making your own and print out whatever you want your pennant to say on cardstock. You now have all of the pieces of your pennant. 3. 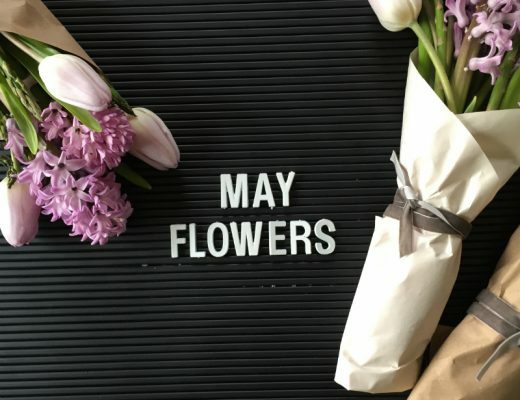 Now it’s time to cut out the letters of your text. If you have a rotary tool, just place the template on the felt, and cut out the letters. 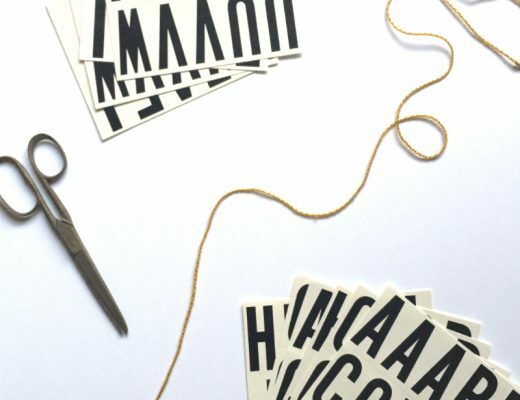 If you’re using scissors, you may have to first cut out the letters from the cardstock, trace onto your felt, and cut from there. 4. 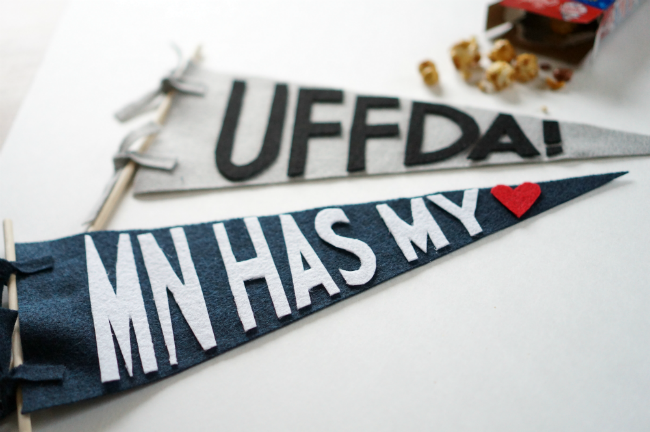 Arrange your design and letters to make sure it all fits and attach to the pennant with hot glue. 5. Next, make the little tassels that will tie to your dowel. No need to be exact, just make sure they’re about four inches long. You’ll need four total and will glue two on each side – two on the top and two on the bottom. 6. Finally, tie the pennant onto your dowel and you’re done! Happy baseball season and Go Twins!